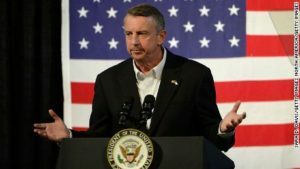 While the mainstream media gleefully reported Democrat Ralph Northam’s victory in the Virginia governor’s race as a repudiation of President Donald Trump and his agenda, Trump was quick to point out that establishment GOP candidate Ed Gillespie was hardly on the president’s bandwagon. While Northam defeated Gillespie in the Nov. 7 voting, Democrat Phily Murphy downed Republican Lt. Gov. Kim Guadagno in the New Jersey gubernatorial contest. Breitbart’s Joel Pollak said the Nov. 7 results were not the setback for Trump that pundits made them out to be. According to a report by the Washington Examiner, Gillespie’s camp also declined an offer of assistance from the Steve Bannon faction. Bannon was said to be frustrated with Gillespie’s refusal to appear on his Breitbart radio show or do any interviews with the conservative media outlet, the Daily Beast reported.